Offering a full-service spa, on-site dining and cabins with a flat-screen TV, this famous ocean liner is permanently stationed in Long Beach. The Aquarium of the Pacific is 5 minutes’ drive away. Browse through the on-site shops, or relax on the spacious sun deck or solarium at The Queen Mary Hotel. Fitness and business facilities are also available. Free transport service offered from the Convention Center and Pine Avenue areas. 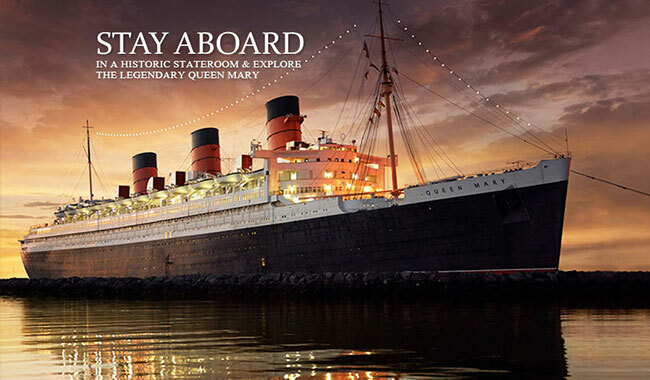 Downtown Long Beach and Catalina Express Seaport are within 3.2 km of The Queen Mary. The Long Beach Convention Centre is less than 10 minutes’ drive away. Pacific Battleship Center – USS IOWA is 11.3 km away.